The Don River is very important in the study of archaeology, not only at Kostenki, but further upstream and downstream, where sites from the Palaeolithic and later ages have been discovered. 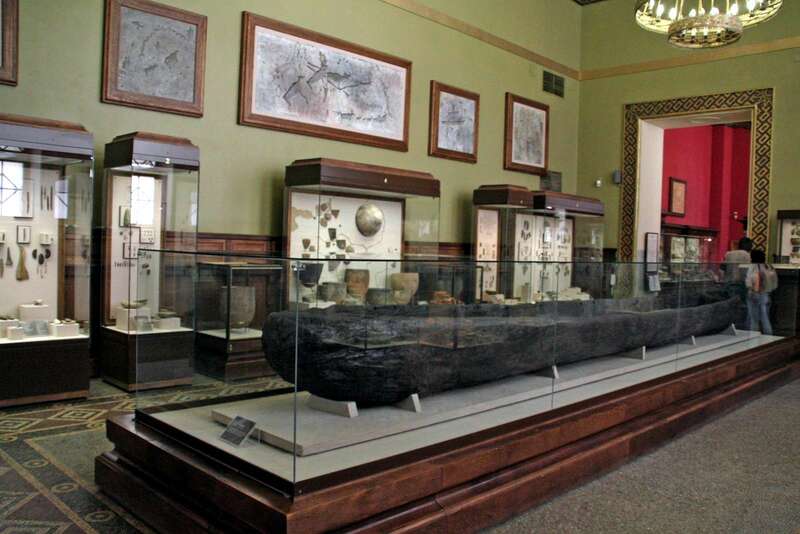 Very large dugout canoe in the State Historical Museum, Moscow. This canoe, with a length of 7.55 metres, or 24 feet 9 inches, was found in bog deposits on the Don River near the village of Щучье or Shchuch'e near Voronezh. It was made in 5000 BP. It is made of a single piece of oak. Of particular interest is the fact that it is double ended, though with a pronounced prow and stern, and it has had handles carved into it at both ends at the time of manufacture in order to attach anchors or mooring ropes. The prow appears to have had a carving of some kind at one time, since it is not finished off neatly as is the stern. The effort to carve such a huge canoe from hardwood with stone age tools or at best copper tools is mind boggling. A craft as large as this would almost certainly have been constructed for the trade of bulky and heavy items up and down the river. 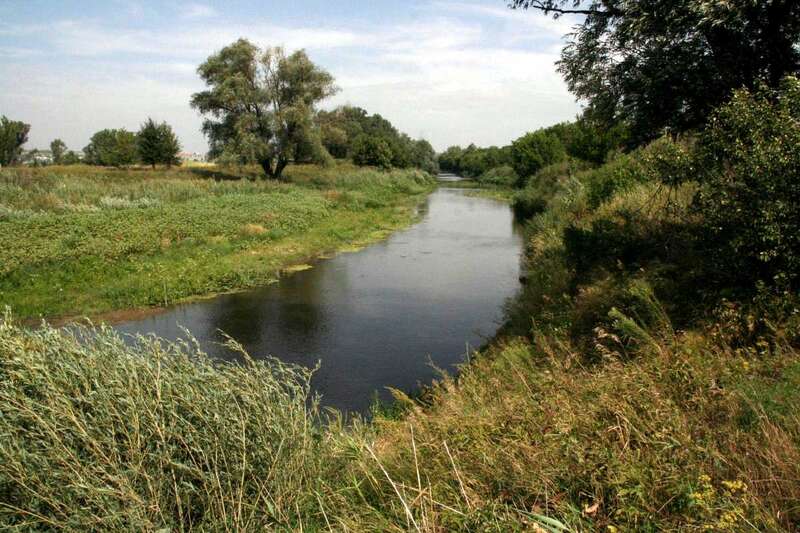 This is the part of the Don River near the village of Щучье or Shchuch'e. 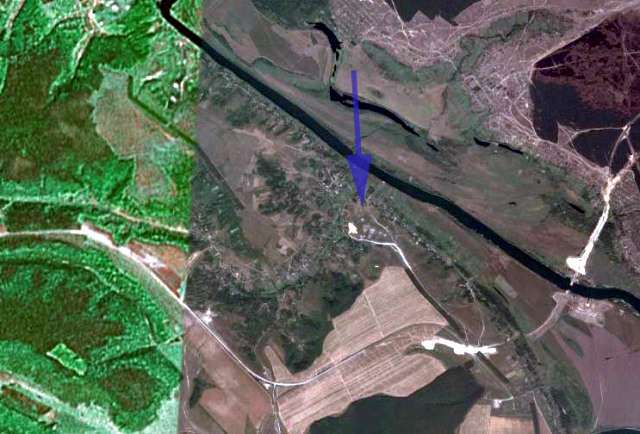 Notice that there is a cut off channel in the Don River, which flows from left to right in this photo, passing by the village. The side channel would have been ideal to use as a safe harbour for the large boat above, and it would have been relatively easy, though requiring a lot of manpower, to haul it out of the water when necessary. I am guessing that the boat was found in or near this channel. This is the side channel of the Don which passes by the village of Щучье or Shchuch'e. Much smaller modern boats used by local people on the Don River can be seen to be the natural progression from the dugout canoe above. As can be seen here, the boats are made from separate pieces of wood fastened together. They are ideally adapted for the purposes of travel and fishing on a wide and slow flowing river with no rapids. The river Bogucharka, part of my childhood, with a child of the present day doing what I loved to do. 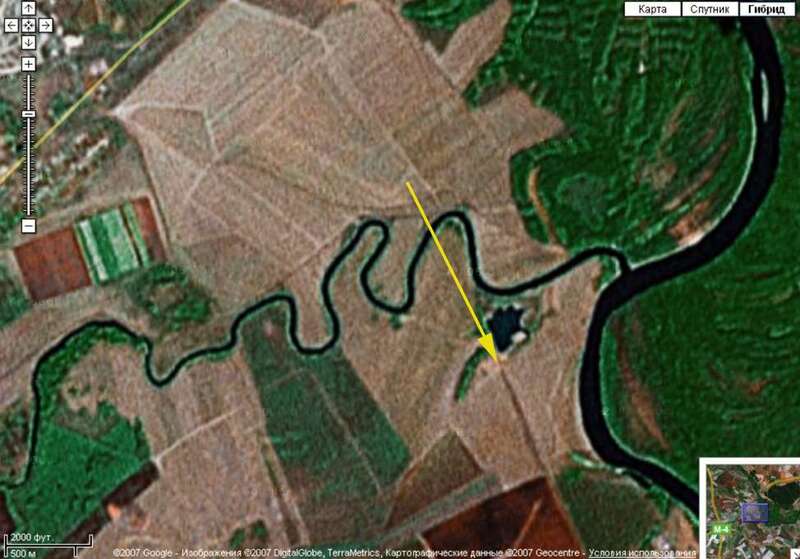 Snake photographed one kilometre outside of Tereskovo downstream along the bank of the Don River in Cretaceous sediments, at the position shown in the map. 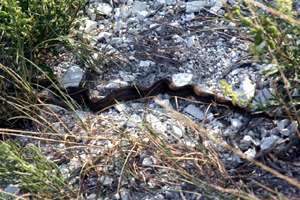 The snake was 50 to 60 cm long. A local old man said that it was not poisonous, and was a small python. It is similar to the European Grass Snake, Natrix natrix in which mature females can be up to 200 cm long, but usually reach a length of 100 - 150 cm. 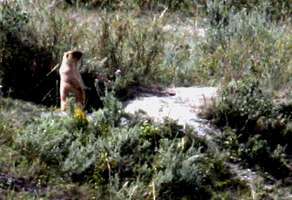 The males are smaller, and rarely exceed one metre in length. Wikipedia states that they prey almost entirely on amphibians, especially the common frog, although they also occasionally eat mammals and fish. Grass Snakes are strong swimmers and are usually found close to fresh water. 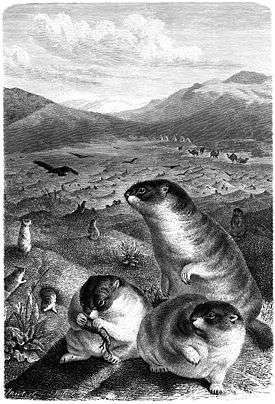 The Marmot is one of the largest belichih: It has a length of 50-70 cm, and the body mass of the male is 5.7 kg. The body of the baybaka is fat and ugly, with short, powerful legs. 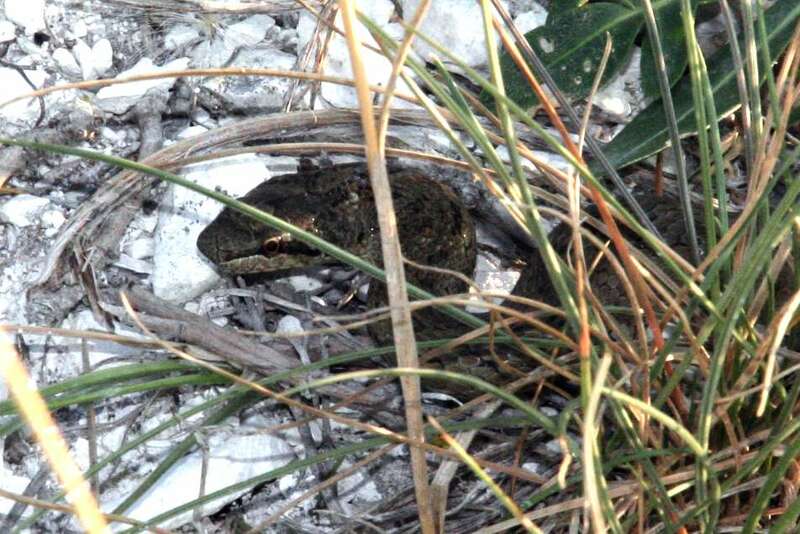 The head is large, and flattened on a short neck. Text and etching from the Russian Wikipedia. These are a bison horn, skull and jaw. 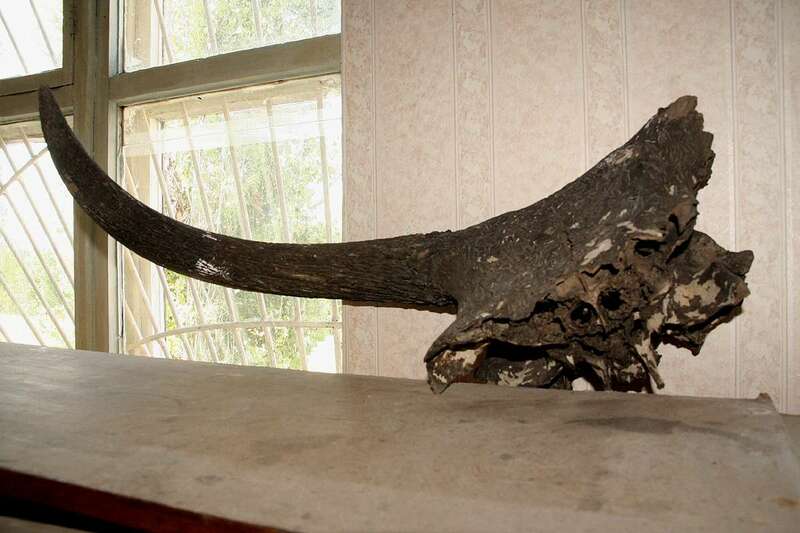 They are in the school museum of Dubrava Village, Дубрава, (the Oak grove) of the Boguchar area. 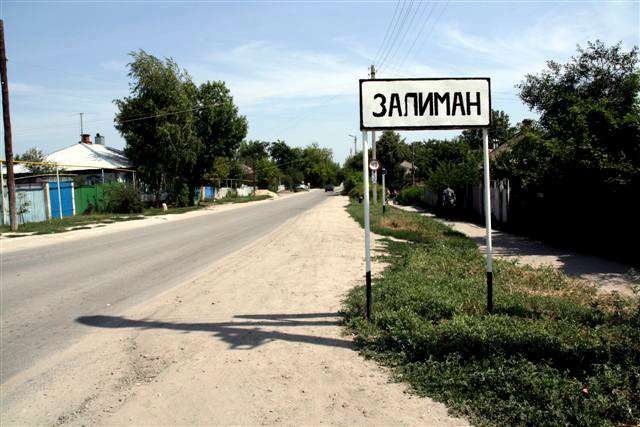 With the name of this settlement, Дубрава, there was a confusion. 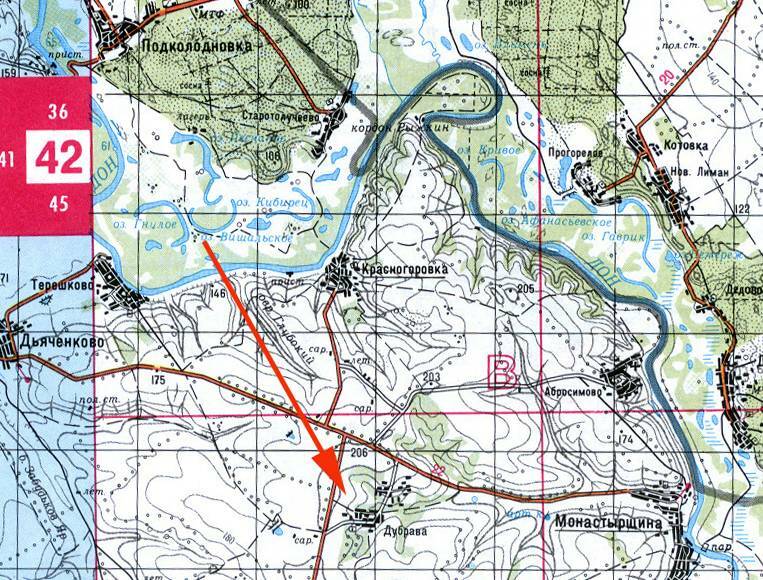 For some reason this old village during the Soviet time was deprived of the name Dubrava and on the map was marked the Soviet collective farm "Radchensky", as can be seen on this version of the map. Radchensky was the last name of a hero of the civil war who lived in another village nearby. 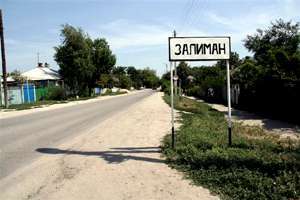 Now the old name Дубрава (Oak grove) has been reinstated. 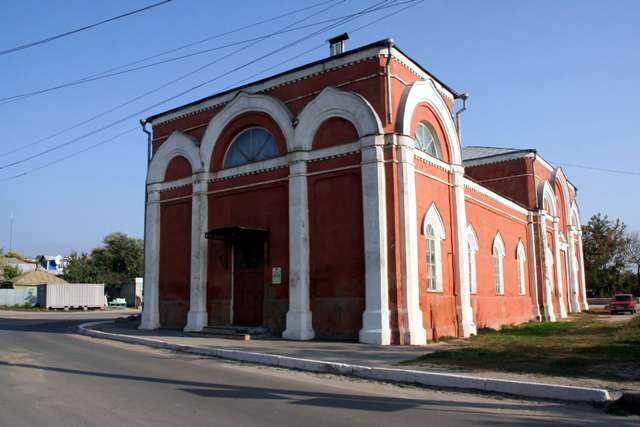 In the village of Dubrava, Дубрава, there lives an archaeological enthusiast, Vyacheslav Kramskoy, a teacher in the school, who organises the school museum. He is not a professional archaeologist, but takes a very great interest in it. 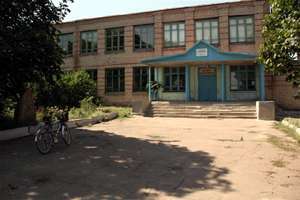 Dubravskaja school, at which Vyacheslav Kramskoy teaches. 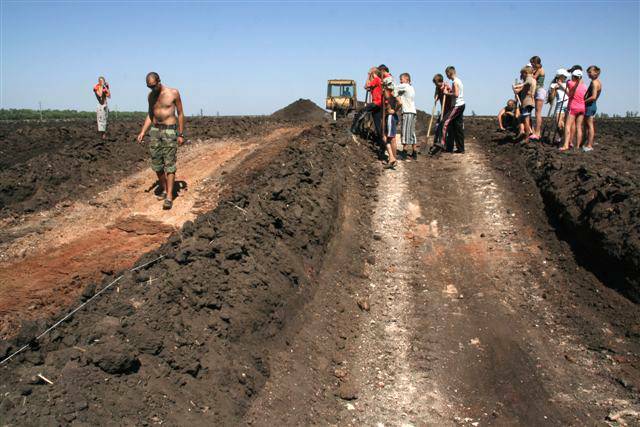 Since the year 2000, every August he organises, together with archaeologists from Voronezh, an archaeological dig using a camp of schoolchildren from his school and surrounding areas. The school students come from different villages, live at the camp in tents, and help to dig out archaeological objects. 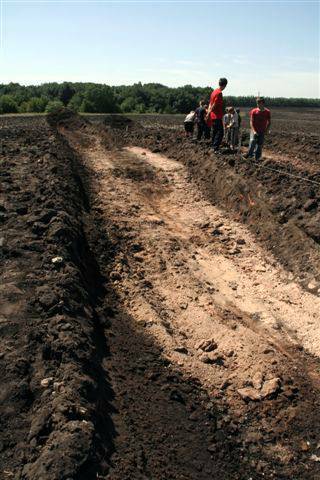 In 2007 they dug out a small barrow of the 2nd or 3rd millenium BC, near the village of Tereskovo, about 10 km away from Dubrava, Дубрава. 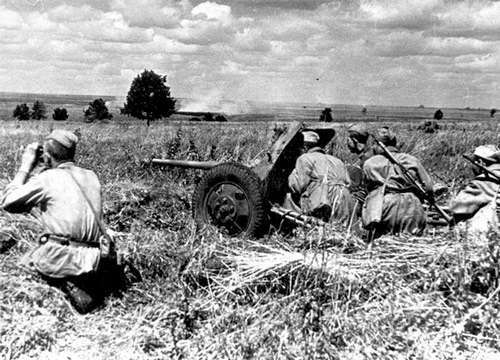 In the Boguchar area in 1942 there were short but intensive fights between the Russian troops and the German invaders. 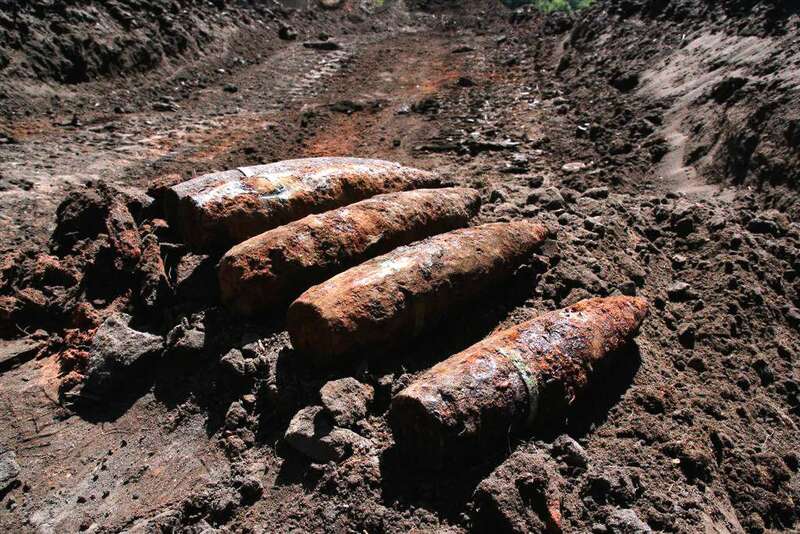 These are artillery shells, probably from a 45 calibre cannon, a fieldpiece which was widespread in those days, around 1942. 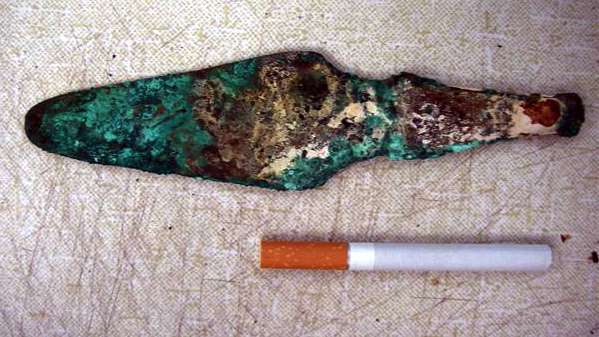 Found in the Boguchar area dig after the visit by Vladimir Gorodnjanski to the dig, in the central burial a bronze knife from the early срубная (srubnaya or srubna) culture, and vessels. 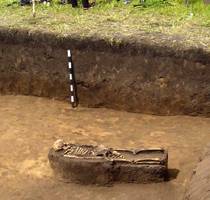 The Srubna culture (Зрубнá культ́ура, also Timber-grave culture), was a Late Bronze Age (16th-9th centuries BC) culture. It is a successor to the Yamna culture, the Catacomb culture and the Abashevo culture. It occupied the area along and above the north shore of the Black Sea from the Dnieper eastwards along the northern base of the Caucasus to the area abutting the north shore of the Caspian Sea, across the Volga to come up against the domain of the approximately contemporaneous and somewhat related Andronovo culture. 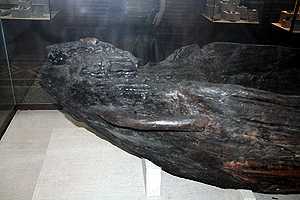 The name comes from Ukrainian зруб zrub, "timber framework", from the way graves were constructed. Animal parts were buried with the body. The economy was mixed agriculture and livestock breeding. The historical Cimmerians have been suggested as descended from this culture. The Srubna culture is succeeded by Scythians and Sarmatians in the 1st millennium BC, and by Khazars and Kipchaks in the first millennium AD. J. P. Mallory, "Srubna Culture", Encyclopedia of Indo-European Culture, Fitzroy Dearborn, 1997. A bronze knife from the early срубная (srubnaya) culture. 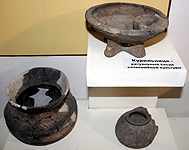 In 2005 Vyacheslav Kramskoy excavated barrows near Ostrogozhsk (close to Kostenki) from the Scythian time, about 4th century BC. 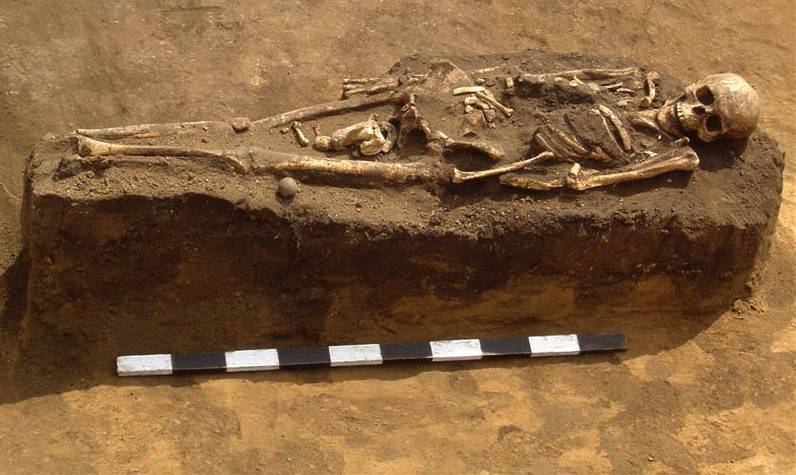 The barrows have been repeatedly plundered, but these important graves have been discovered. 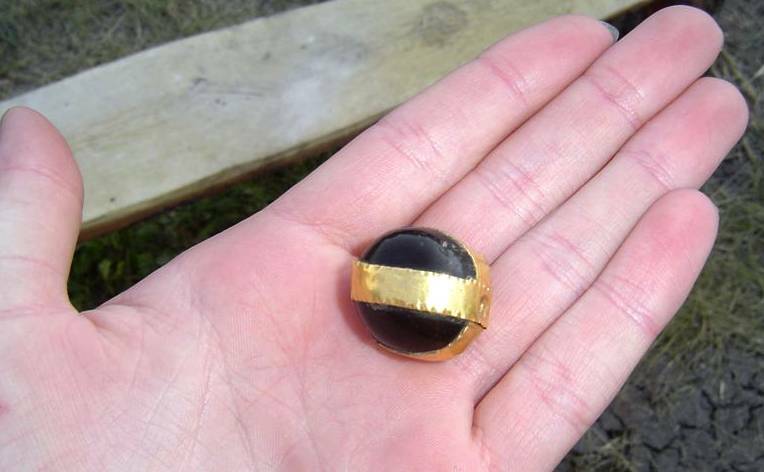 A Jet stone in a gold setting, made in the Ostrogozhsk area. 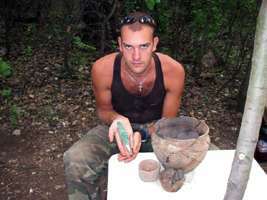 Vyacheslav Kramskoy in 2005 excavated a site near Ostrogozhsk (close to Kostenki) from the Scythian time. 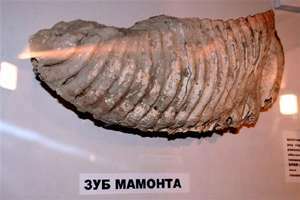 Mammoth tooth and tusk from Boguchar. The mammoth was found on the edge of Zalimana village in the quarry of a brick-works. 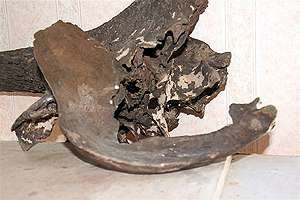 The remains are in the Boguchar museum and in the Dubrovka village museum. 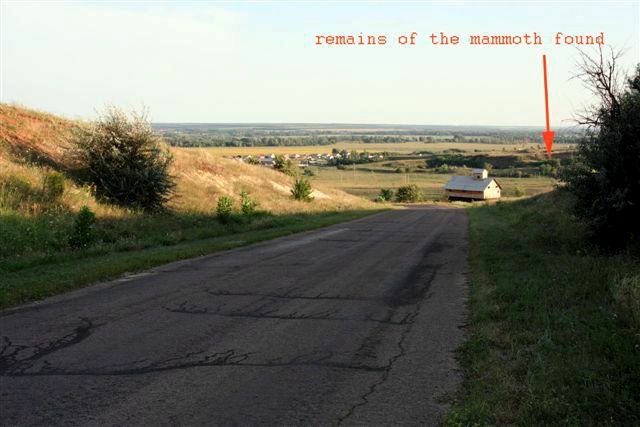 Map showing the place near Boguchar where the mammoth was found, and a photograph of the area. 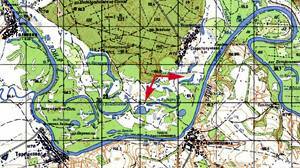 The wall of the brickworks quarry where the mammoth was found, and a map showing the extent of the quarry. 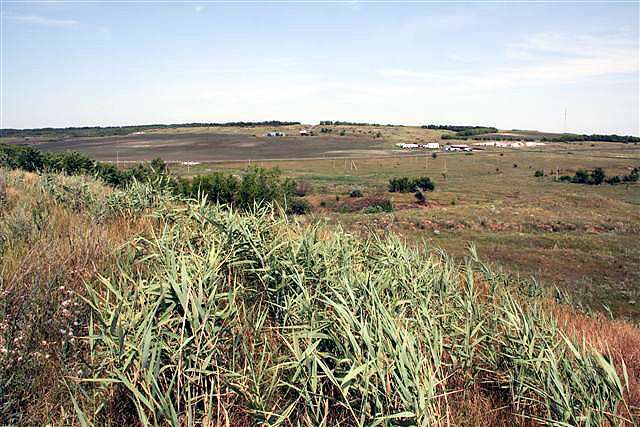 Photographs of the general area around the brickworks quarry, and the small nearby village of Zalimana. From the village of Filonovo - a casual find of a high quality piece of flint used as a core to make blades, displayed in the Voronezh Museum. 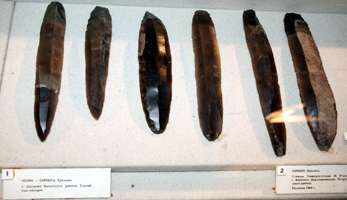 On the right from the Voronezh area, also displayed in the Voronezh museum, some beautifully made blades, narrow and long, also casual finds. 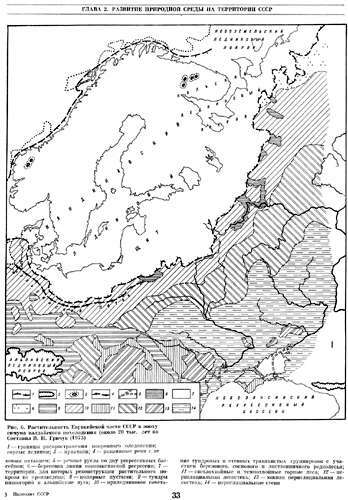 Map of the distribution of Palaeolithic sites in the former USSR. 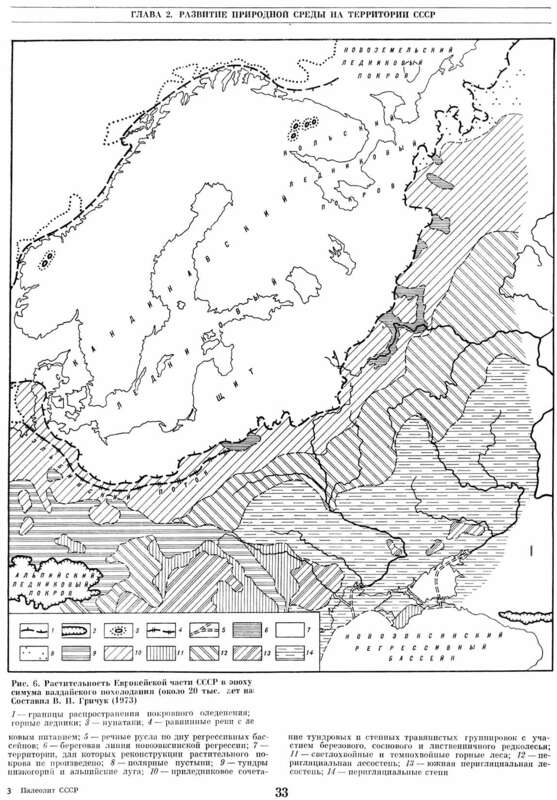 Note the late palaeolithic sites close to and inside the Arctic circle. Photo: Vladimir Gorodnjanski, 2007, from an original in the Hermitage, in Saint Petersburg., Russia. речные русла по дну регрессивных бассейнов. тундры низкогорий и альпийские луга. преледниковое сочетание тундровых и степных траваянистых группировок с участием березового, соснового и лиственного редколесья. Светлохвойные и темнохвойные горные леса. edge of the ice sheet. edge of the lakes fed by the ice sheet. coastal line of the Novoevksinskogo province (?) lakes. a combination of tundra and grassy steppe with the inclusion of birch, pine and deciduous light forest. light conifers and wooded mountains. Map of the archaeology of part of the Don River near Boguchar, south of Kostenki, and a topological map of the Boguchar area. 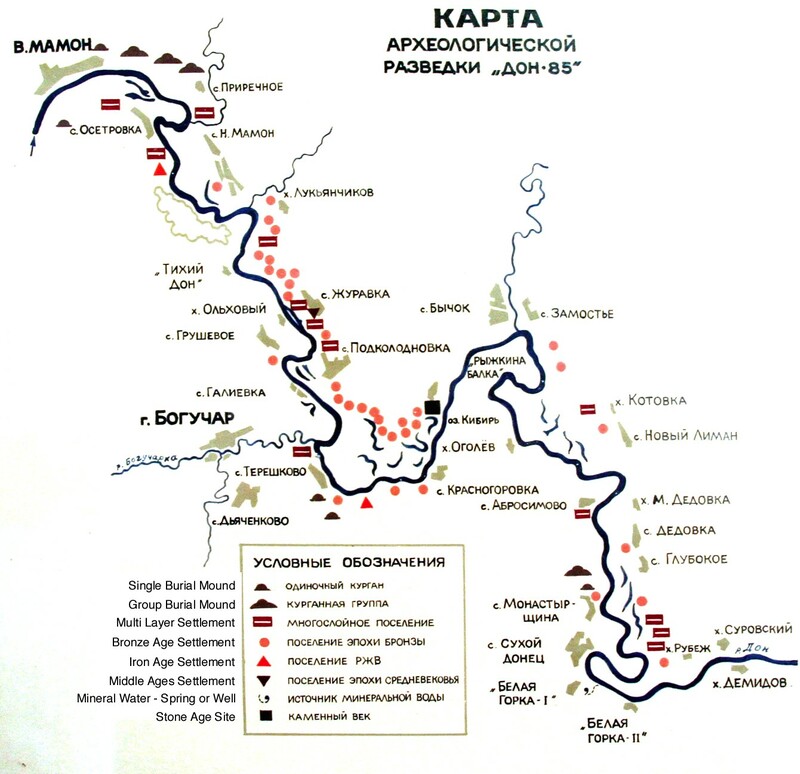 The map on the left is from part of the display of the Museum in Boguchar. Panorama looking eastwards, of the Don River. 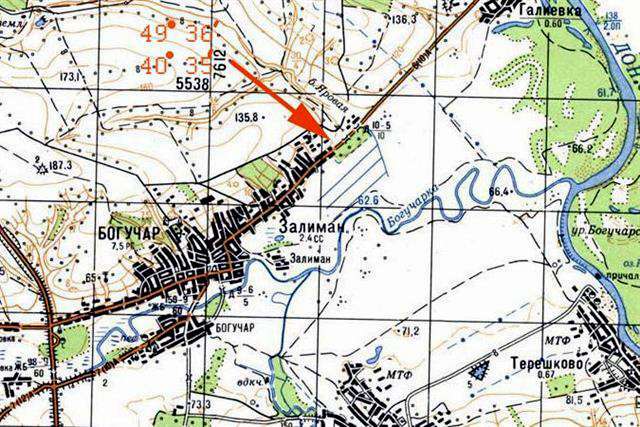 The photograph is taken from "Hill 190", showing the village of Borshevo on the left of the photograph. This point is about five kilometres south of Kostenki, with Kostenki upstream to the left of the hill in the panorama. The point from which it was taken may be seen on the google earth image above. The bridge to the right of the photo is not yet in service, and will be one of the few ways of getting across the Don River in this area. Корни истории нашего края, как и всей страны, уходят в далекое прошлое. История одного края отличается от истории другого края. Даже если мы возьмем территорию Воронежской области по аналогии в занятиях, образе жизни, культуре людей далекого прошлого провести нельзя. Область разделена на несколько регионов, которые имеют свои, особенности. Наш Богучарский район принадлежит к региону Южного Придонья. 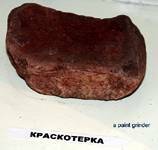 Сюда же входят районы: Кантемировский, Подгоренский, Петропавловский, Лискинский и Острогожский. Во второй половине ХIХ века на территории Воронежской области было зарегистрировано: 1491 курган, 88 майданов и 31 городище В наше время эти цифры значительно возросли. В основном это курганы и курганные группы. Курганы имеют округлую форму или продолговатую насыпь. Как правило это одно или несколько захоронений. Наш край ничем особенным не привлекал ученых. Лишь редкие находки местных раскопок подтвердили, что поселения людей на Богучарщине были еще в эпоху мезолита (VII – V тыс. до н.э.) и неолита (V – III тыс. до н.э.). Это Терешковский вал, обнаруженный в 1985 году, относящийся к V тысячелетию до нашей эры, с размерами 140 м на 60 м. В селе Галиевка в 1982 году был найден топор из камня эпохи энеолита и обломок каменного шлифовального топора, найденный в 1960 году в районе озера Песчаное. К этой же эпохе относится клад в селе Филоново, обнаруженный в 1969 году, состоящий из семи нуклеусов, а также найденных в 1978 году каменный топор-молот клиновидной формы жителем села Поповка Гетмановым В. И., и поселение размером 85 м на 70 м, обнаруженное в этом же селе на садово-огородном участке Песечниковой М. Т. В 500 метрах от Дона на берегу старицы Дона (озеро Кибирь) было обнаружено поселение площадью 500х200 м, датируемое 2 – м тыс. до н. э. Здесь были обнаружены кремневые и кварцитовые орудия труда. Через наш край проходили торговый пути римских купцов. В частности, плавая по реке Дон, купцы торговали с Сарматией. Птолемей, знал, что на одном участке Ра (Волга) близко подходит к Дону. Летом 512 года до н.э. персидский царь Дараявуш (Дарий) предпринял поход на Скифию – степи Северного Причерноморья. Один из отрядов персы отправили на восток к Дону. Форсировав множество крупных маленьких рек, они пересекли земли скифов – кочевников. Затем Дарий с войсками переправился через Северский Донец и прошел всю землю сарматов (междуречье Северского Донца и среднего Дона и вступил на территорию большого кочевого племени будунов, живших в бассейне среднего Дона. «Вся земля их покрыта густым лесом». Дарий обнаружил «город, окруженный деревянной стеной. Будуны бежали, город опустел, персы предали его огню". На много богаче и многообразные находки эпохи бронзы. Поселения эпохи, когда люди открывали металлургию бронзы, отличались улучшением орудия труда. Успехи скотоводства этого периода способствовали росту народонаселения. Поселения были обнаружены в селах: Абросимово (115 м на 60 м), Данцевка (100 м на 50 м), Красногоровка (30 м на 45 м), Казачье (90 м на 80 м), Лофицкое (130 м на 65 м), Луговое – поселение Затон (100 м на 50 м). Обнаружить эти поселения удалось в результате разведки археологической экспедиции во главе с ассистентом кафедры археологии ВГПИ А. А. Бойковым, а также в результате находок фрагментов керамики на поверхности почвы, которая постоянно распахивается местными жителями. Наиболее интересны находки в нижеследующих курганах. В 1970 году была обнаружена курганная группа, названная Краснодарский курган. Который относится к концу III тысячелетия до нашей эры и состоит из трех насыпей высотой от 0,5 м до 1,5 м, диаметром от 30 м до 44 м.
Вот как рассказывает о находке профессор Воронежского педагогического института Арсен Тигранович Синюк. : «Скелет имеет красный цвет. В этот период истории человечество хоронило людей в обычные ямы (один - два метра глубиной), прикрывало умершего берестой, посыпали тело красноватым порошком охры, что символично означало предавать человека огню. А затем насыпали холм земли. Интересна курганная группа в селе Расковка, состоящая из шести насыпей высотой от 0,75 м до 6,5 м, диаметром от 28 м до 62 м. В 1985 году А. А. Бойков провел раскопки одного из курганов, в результате чего обнаружено три погребения с глиняными сосудами (хранятся в Богучарском музее). Захоронение совершилось в прямоугольной яме и в подземных катакомбах (катакомбовая культура). Лофицкий курган относится к эпохе бронзы (первая половина II тысячелетия до нашей эры). Высота кургана 1,5 м, диаметр – 40 м. В результате экспедиции ВГПИ было обнаружено семь погребений с глиняными сосудами, бронзовыми украшениями, каменными орудиями труда, железными наконечниками стрелы. Захоронению сопутствовал богатый инвентарь. Радченский курган был разрушен строителями в 1975 году. Содержал одно погребение в прямоугольной яме, обложенной деревянным срубом, сопровождавшееся гончарными сосудами, бронзовым ножом, изделием из кости. Остатки этих захоронений были собраны и сохранены жителем села Радченское Г. Н. Реуковым. Половцы обычно устанавливали на курганах каменные бабы. Некоторые из них сохранились до наших времен и хранятся в краеведческом музее города Воронежа. Есть и другие находки курганов у села Дьяченково, Расковка, Терешково, Монастырщина, но все они неизведанны, работа по их исследованию еще впереди. В VIII – II века до нашей эры на территории нашего края жили скифы. Занимались они охотой, скотоводством и земледелием. Этому свидетельствуют находки у села Старо-Толучеево в 1898 году. Был обнаружен бронзовый псалий (уездечный набор, прикреплявшийся к концу удил для закрепления их во рту верхового коня, скифского типа и медный наконечник стрелы). В VII веке до н.э. в страна Скифия постиралась от Дуная до Дона. Греческий поэт Аристей, воспользовавшись древним торговым путем, проследовал через Скифию на северо-восток через Среднее Придонье, лесные области Поволжья. Греки знали о Доне впервые, об этом упоминается во II веке до н.э. у Птолемея. Территория скифов по Геродоту на юге достигал Крыма, а на востоке р. Танаис (Дон) «текущей с севера «из большого озера» и впадающей «в еще большее озеро» Меотида (Азовское море). Геродоту был известен приток Дона – Сиргие (Северский Донец). За Доном жили сароматы (сарматы), которые занимались степь, начиная с устья Дона к северу. В 1989 году в районе села Дьяченково было вскрыто захоронение половецкого хана. Он был одет в богатую одежду, рядом лежал шлем, хорошо сохранился пояс, богато украшенный пластинами из золота и серебра, – орнамент был выполнен в виде цапли и цветков лотоса. У умершего была золотая серьга, в руке он держал железный нож, рядом лежал берестяной колчан со стрелами. У села Подколодновки найдены шесть наконечников из бронзы скифского типа, а в 1959 году у села Монастырщина найден меч скифского времени из железа, длиною до 30 см. Интересна находка 1991 года у кургана Высокий (село Дьяченково), состоящая из золотых украшений и драгоценных камней, медного котла и алюминиевого зеркала. Захоронение принадлежало племенам скотоводов – земледельцев Восточной Европы середины II тысячелетия до н. э. Одно из захоронений в районе с. Дъяченково принадлежало скифам. В захоронении было обнаружено 30 бронзовых наконечников стрел, некоторые из них были посеребрены. Скифские племена затем вытесняются сарматами, сарматов – аланы. В VIII – IХ веков в нашем крае начинают селиться славянские племена, следы которых можно проследить в эпоху раннего средневековья. Во второй половине VII века на территории нашего края существовало государство Хазарский каганат. «Хазария простирается с востока, от Каспия… на запад на 275 км до р. Бузан (Дон), а на север и юг на 385 км. В Х веке могуществу хазар приходит конец. С Урала идут печенеги, с запада славяне. Поселения эпохи раннего средневековья (IХ – Х веков) были найдены в 1985 году у села Данцевка. Здесь сохранились фрагменты керамики и обломок пряслица (грузик из обожженной глины, насаживания). В этой же эпохе принадлежат находки двух глиняных кувшинов и кружки (VIII –IХ веков), обнаруженные в 1983 году рабочими рыбхоза Крикуновым Н. И. и Занудиным В. М. у села Лофицкое. В IХ веке на славянских землях образовалось Древнерусское государство с центром в Киеве. Славяне, заселявшие территорию Воронежского края, относились к вятичам - славянским племенам, упоминаемым в летописи. Основным занятием славян было земледелие. Они занимались скотоводством, охотой, рыболовством, бортничеством. Донские славяне граничили со степью, занятой племенами, мирную жизнь постоянно нарушали набеги кочевников. Поселения славянских племен впоследствии почти полностью были разрушены набегами кочевников-печенегов, а затем половцев. Действительно, на территории Богучарского района еще осталось много свидетельств тех далеких событий: выпаханные глиняные черепки, наконечники стрел и копий, остатки кольчуг. Находки эпохи средневековья, относящиеся в XIII - ХV веках очень редки: у села Лофицкое обнаружен курган высотой 1,6 м и диаметром 40 м, у села Журавка найдено поселение размером 90 м на 60 м. Недалеко от города Богучара обнаружено поселение Островное размером 90 на 90 м, относящиеся к XVII – XVIII векам. По народному поверью, в этом месте, был расположен Богучарский юрт, а впоследствии и казачий город Богучар. Существует много легенд рассказывающих о том, что в курганах есть несметные сокровища. 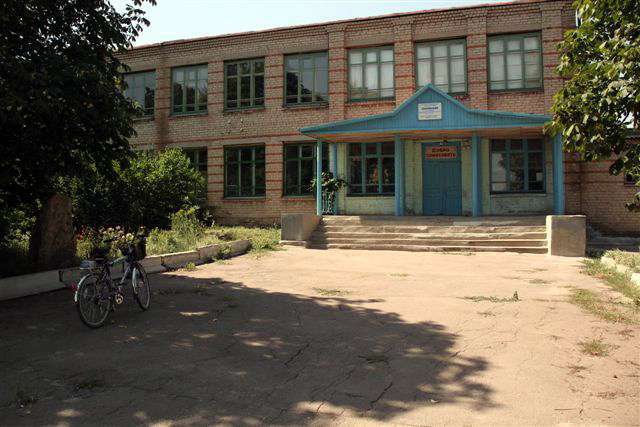 Одна из них была описана Богучарским краеведом Ткачевым Г.Г. в XIX веке: «В семи верстах от Богучара находится довольно широкий земельный вал. Под праздник Воскресенья в одном месте вала каждый год горит свеча. Один смельчак, убежденный, что там непременно должен быть клад, решил, во что бы то ни стало достать его. Взяв с собой заступ и необходимые вещи, он отправился туда. Как только пришел к месту, где горела свеча, он увидел себя окруженным со всех сторон страшными чудовищами огромного роста. Они спросили: «Ты зачем сюда пришел? Мы поставлены сторожами и, знай, что тебе не удастся овладеть сокровищами. Страх овладел смельчаком, он сделался несчастной жертвой чудовищ и собственной смелости». Практически ежегодно вскрываются археологами курганы на Богучарской земле и есть уверенность, что сокровища будут найдены. Когда - то будет найдена и шапка знаменитого татарского хана, с драгоценными камнями и золотом, о которой тоже ходят легенды в нашем крае. газета Сельская новь, Богучар.,1971 год, 23 сентября. Журнал Советская археология. АН СССР.М .1981.№ 3. с.281. Синюк А. Т. Археологические памятники на Европейской территории СССР. Борисоглебск 1985 год, сс.79-92. Описание Воронежской губернии на 1856 год отд.III.сс.32 – 33. The roots of the history of our land go into the remote past. The history of one area differs from the history of another area. Our Boguchar region belongs to the Southern Don region. Areas here include: Kantemirivka region, Podgorenskij region, Petropavlovka region , Liski region and Oatrogozhsk region . 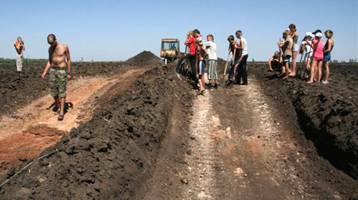 In the second half of the 19th centuries in the territory of the Voronezh area 1491 barrow, 88 bazaar and 31 sites of ancient settlement have been registered. Now these figures have considerably increased. 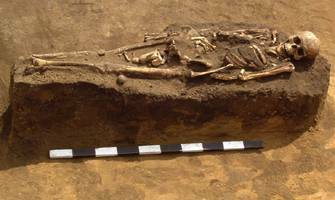 Basically the sites consist of barrows and barrow groups. Barrows take the form of a circular mound or an oblong embankment. As a rule there are one or several burial places. Our area especially has not been investigated by scientists. 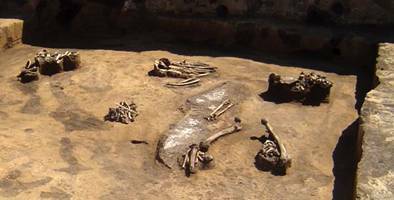 Only rare finds of local excavation have confirmed that settlements of people on Boguchar were during a Mesolithic epoch (7 to 5 thousand years BC) and the Neolithic (5 to 3 thousand BC). 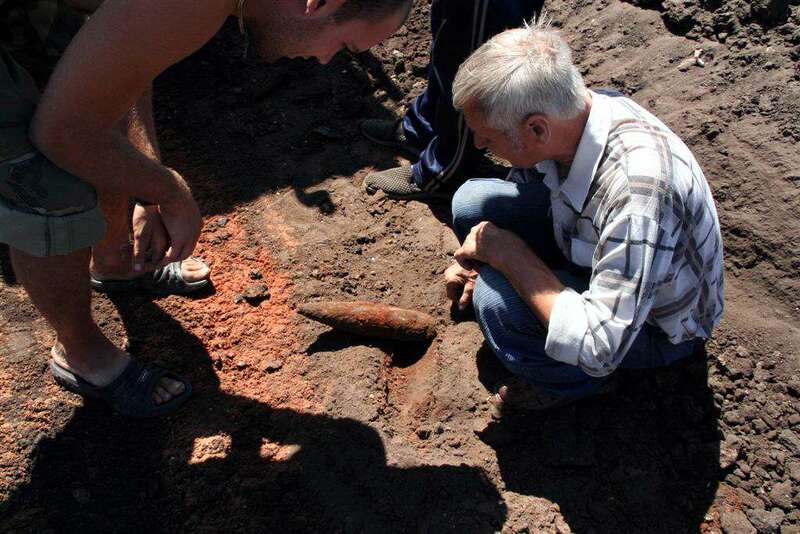 In the Tereshkovo area a barrow was discovered in 1985, dating to 5 thousand BC, with a size of 140 m by 60 m. In the village Galievka in 1982 was found an axe from a stone of the late Stone Age and a fragment of a stone grinding axe found in 1960 in area of lake Peschanoe (Sandy Lake). 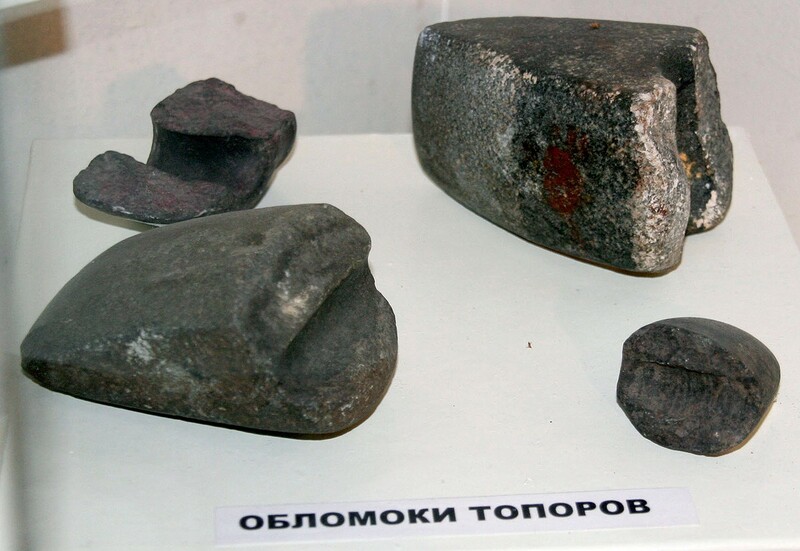 To the same epoch belongs a report from the village of Filonovo, of a site discovered in 1969, consisting of seven cores , and also found in 1978 a stone axe and hammer wedge-shaped forms by an inhabitant of the village of Popovka Hetmanov V.i., and a settlement with a size of 85 m by 70 m, discovered in the same village on a garden strip Pesechnikovoy M.
500 meters from the Don on the edge of a former river-bed of the Don (Lake Kibir) was revealed a settlement with an area of 500х200 m, dated 2000 - 1000 BC. 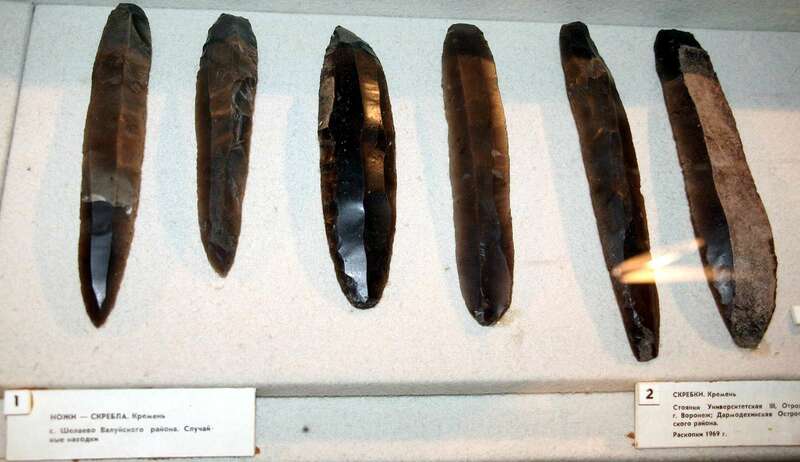 Here flint and quartzite stone tools were discovered. From the Steppes of the Northern Black Sea Coast, Persians sent one group to the east to the Don. Having crossed several large and small rivers, they crossed the grounds of the Scythians, who were nomads. 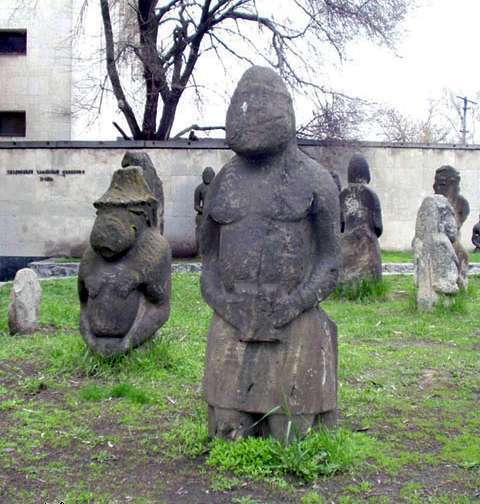 Then Darius with armies it was forwarded through Severski Donets and has passed all ground of Sarmatians (country between two rivers Severski Donets and average Don and has entered on territory of the big nomadic tribe budunov, lived in pool of average Don. « Their All ground is covered by a dense wood ». Darij has found out « the city surrounded by a wooden wall. Buduni ran, the city has become empty, Persians have betraid to its fire ". – On much richer and diverse finds of an epoch of bronze. Settlements of an epoch when people opened metallurgy of bronze, differed improvement of the instrument of work. Successes of cattle breeding of this period promoted growth of the population. 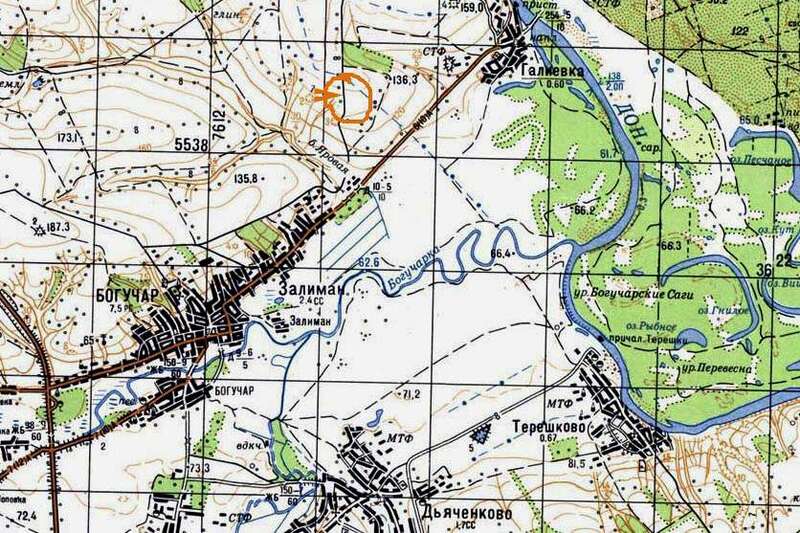 Settlements have been found out in villages: Абросимово Abrosimovo(115 m on 60), Данцевка Dancevka(100 m on 50), Красногоровка Krasnogorovka(30 m on 45), Казачье Cossack (90 m on 80), Лофицкое Lofitskoye(130 m on 65), Meadow – settlement Zaton (100 m on 50). To find out these settlements it was possible as a result of investigation of archeologic expedition led by the assistant to chair of archeology ВГПИ A.A.Bojkov, and also as a result of finds of fragments of ceramics on a surface of ground which constantly plough up local residents. Finds in below-mentioned barrows are most interesting. 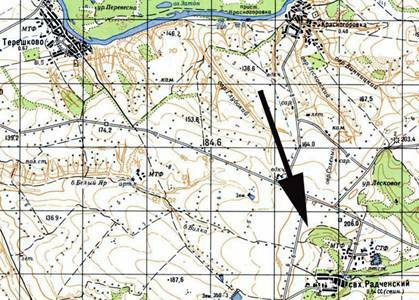 In 1970 the barrow group, named the Krasnodar has been found out. Which concerns to the end of III millenium B.C. and consists of three embankments in height from 0,5 m up to 1,5 m, diameter from 30 m up to 44 m.
Here is how the professor of the Voronezh pedagogical institute Arsene Tigranovich Sinjuk. 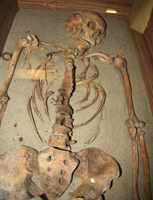 tells about a find: « the Skeleton has red color. During this period of history the mankind buried people in usual holes (one - two meters with depth), covered died elm, strewed a body a reddish powder of ochre, that symbolically meant to betray the person to fire. And then filled a hill of the ground. 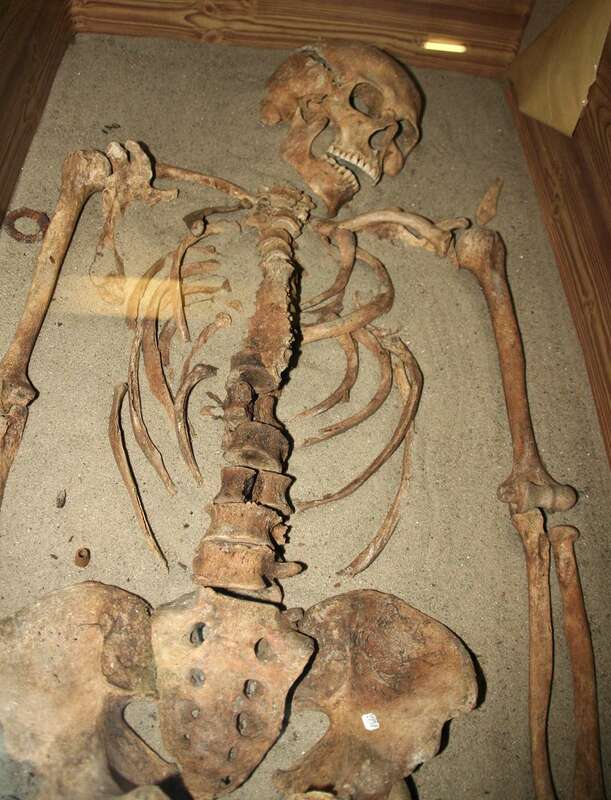 To the left of remains of the person one more skeleton. It is a horse, necessary attribute of burial. Means, it is possible to prove, that here there lived nomad tribes, that they planted horses ». 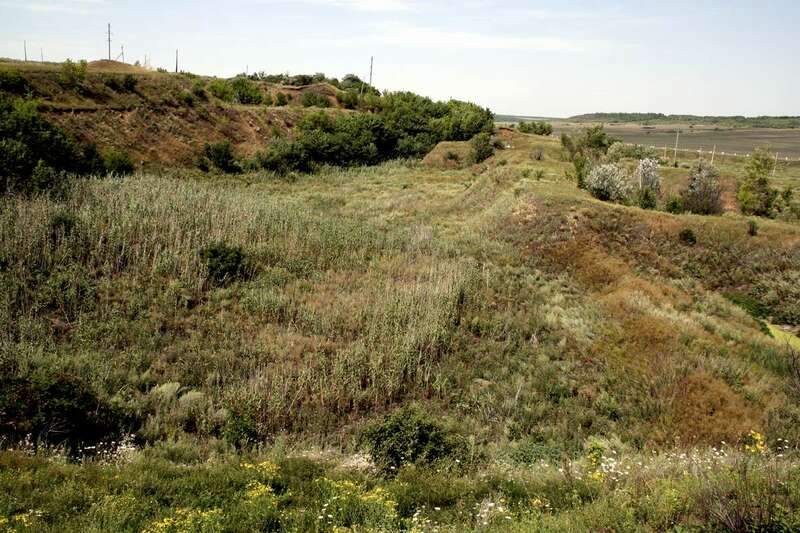 The interesting Kurgan group in the village Raskovka, consisting of six embankments in height from 0,75 m up to 6,5 m is, in diameter from 28 m up to 62 m. Per 1985 A.A.Bojkov has lead excavation of one of barrows therefore it is revealed three burials with clay vessels (are stored in Boguchar a museum). 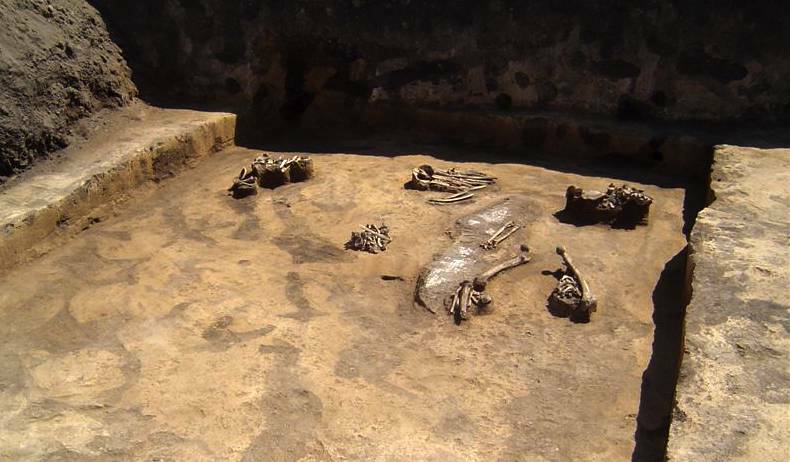 The burial place was made in a rectangular hole and in underground catacombs (catacombs culture). 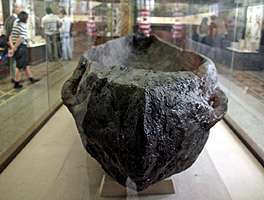 the Lofickij barrow concerns to an epoch of bronze (first half II millenium B.C.). Height of a barrow of 1,5 m, diameter – 40 m. As a result of expedition ВГПИ were revealed seven burials with clay vessels, bronze ornaments, stone instruments of work, iron tips of an arrow. The burial place was accompanied with rich stock. Радченский the barrow has been destroyed by builders in 1975. Contained one burial in the rectangular hole imposed wooden frame, accompanied potter's vessels, a bronze knife, a product from a bone. 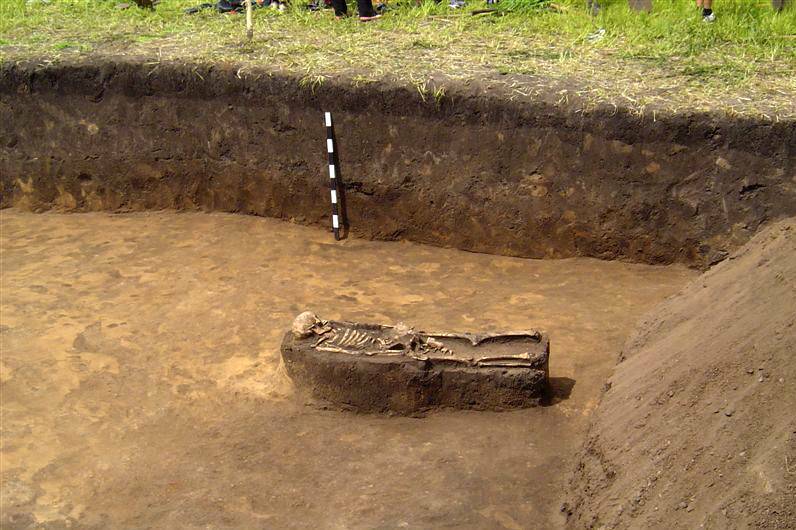 The rests of these burial places have been collected and kept by the inhabitant N.Reukovym has sat down Radchenskoe. Polovtsians usually established on barrows stone images. Some of them were kept till our times and stored in a study of local lore museum of city of Voronezh. 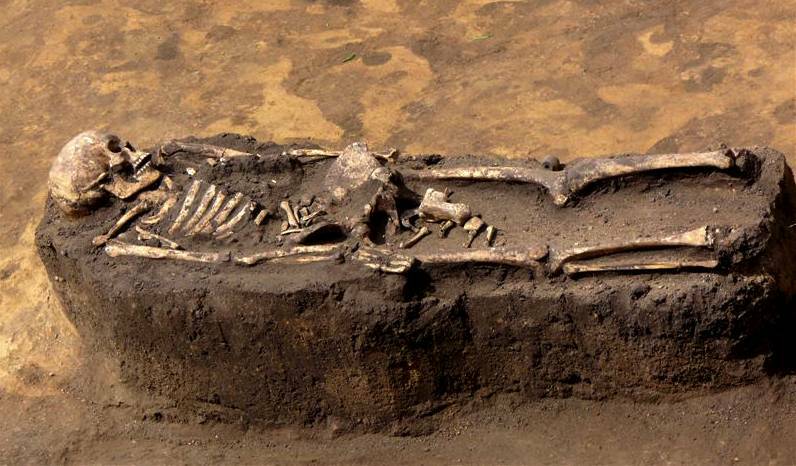 There are also other finds of barrows at village Djachenkovo, Расковка, Терешково, Монастырщина, but all of them are novel, work on their research still ahead. In VIII – II centuries B.C. in territory of our edge lived Scythians. They were engaged in hunting, cattle breeding and agriculture. To it Is testify finds at village old-Tulucheevo in 1898. Has been found out bronze псалий (a bridle set attached by the end of a bit for their fastening in a mouth of a riding horse, Scythian type and a copper tip of an arrow). In VII century BC. In the country Skifija was washed from Danube up to Don. Greek poet Aristej, having taken advantage ancient trading by, has proceeded through Скифию on northeast through Average Don, wood areas of the Volga region. Greeks knew about Don for the first time, it is mentioned in II century up to н.э. At Ptolemaic. 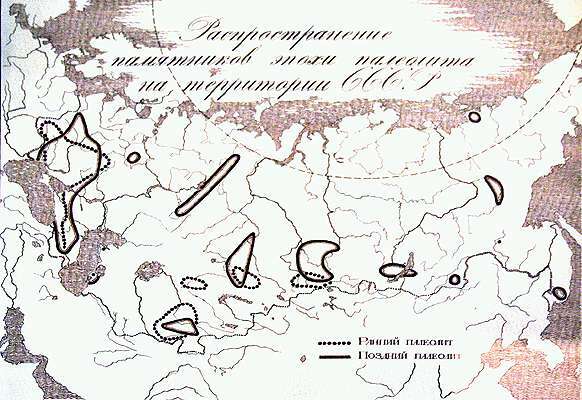 Territory of Scythians on Геродоту in the south reached Crimea, and in the east р. Танаис (Don) « current from the north « from the big lake » and running « in even greater lake » Меотида (sea of Azov). 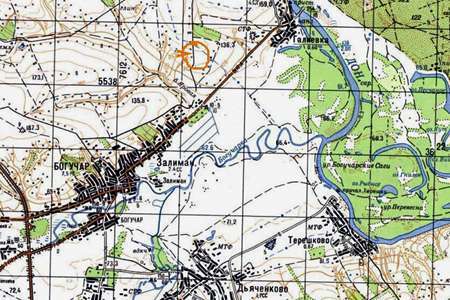 Геродот was known inflow of Don – Сиргие (Severski Donets). Beyond Don there lived сароматы (Sarmatians) who were engaged steppe, since a mouth of Don to the north. In 1989 in area of village Djachenkovo the burial place половецкого khan has been opened. It has been dressed in rich clothes, beside the helmet laid, the belt ornate by plates from gold and silver was well kept, – the ornament has been executed in the form of a heron and flowers of lotus. At died was gold ear-ring, he held in a hand an iron knife, beside laid birch bark a quiver with arrows. 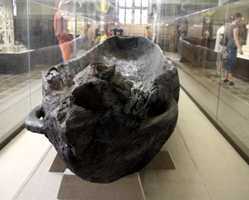 At village Podkolodnovka six tips from bronze of Scythian type are found, and in 1959 at village Monastyrshchina the sword of Scythian time from iron is found, length up to 30cm the find . 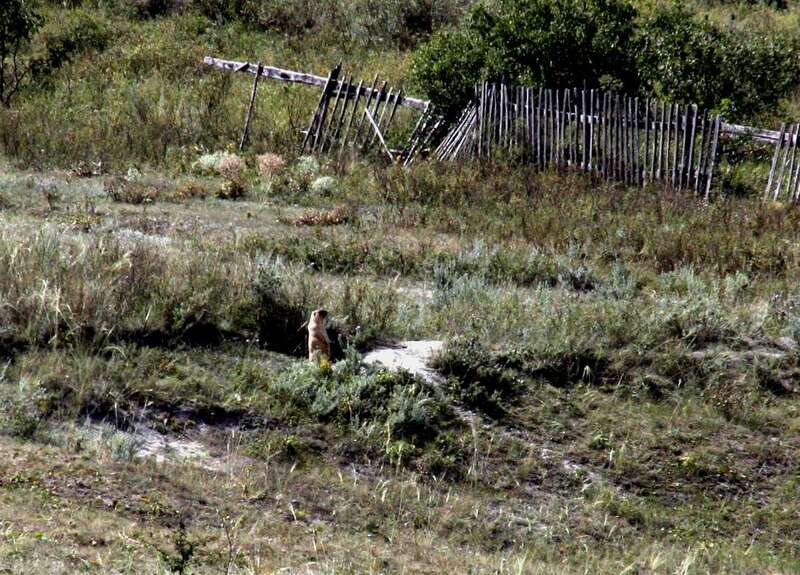 In 1991 at a barrow Высонкий (High) Is see interesting (settlement Djachenkovo), consisting of gold ornaments and jewels, a copper boiler and an aluminium mirror. 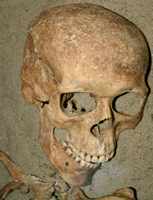 The burial place belonged to tribes of cattlemen – farmers of the East Europe of the middle of II millenium BC. 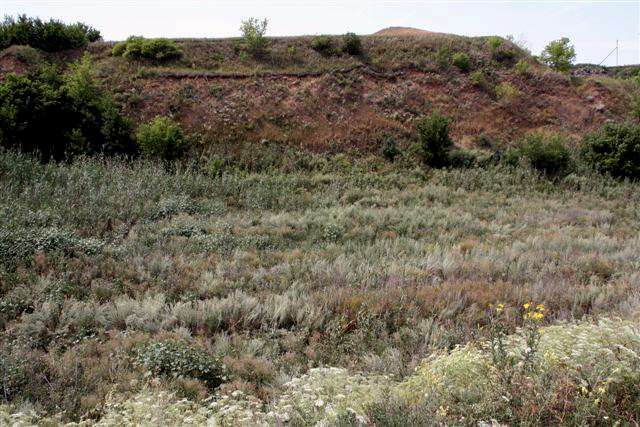 One of burial places in area settlement Djachenkovo belonged to Scythians. In a burial place 30 bronze tips of arrows were revealed, some of them have been silvered. Scythian tribes then are superseded by Sarmatians, Sarmatians – Alans. In VIII – IX centuries in our edge slavic tribes which traces can be tracked during an epoch of the early Middle Ages start to lodge. In X a century to power хазар the end comes. From Urals Mountains there are Pechenegs, from the West Slavs. Settlements of an epoch of the early Middle Ages (IX – X centuries) have been found in 1985 at village Dantsevka. 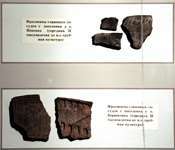 Here fragments of ceramics and a fragment пряслица (грузик from the burnt clay, насаживания) were kept. In the same epoch finds of two clay jugs and mugs (VIII–IХ centuries), found out in 1983 workers рыбхоза belong to Krikunovym N. and Занудиным Century at village Lofitskoe. 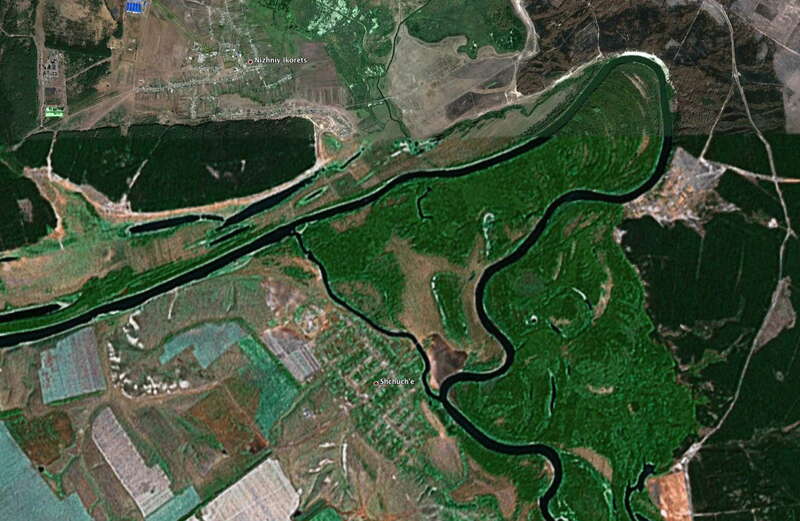 The Slavs occupied territory of the Voronezh edge, concerned to Vyatichs (Venedes ?) - to the slavic tribes mentioned in the annals. The basic employment of Slavs was agriculture. They were engaged in cattle breeding, hunting, fishery, бортничеством. 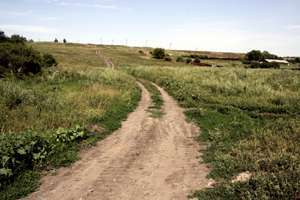 The Don Slavs bordered on the steppe borrowed by tribes, the peace life was broken constantly with attacks of nomads. 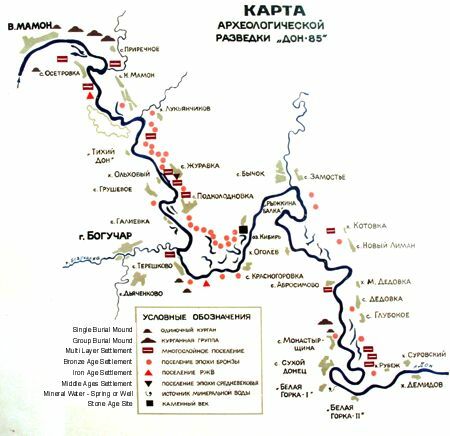 Settlements of slavic tribes subsequently almost have been completely destroyed by attacks of nomads- Pechenegs, and then Polovtsians . 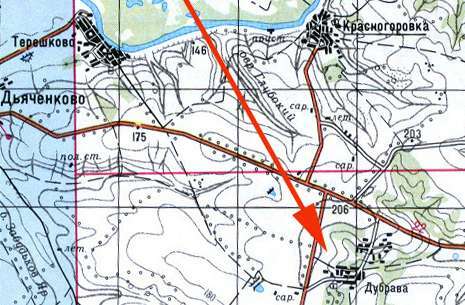 Really, in territory of Boguchar area still there were many certificates of those far events: plowed clay shards, tips of arrows and spears, the rests of chain armours. Finds of an epoch the Middle Ages concerning in XIII - XV centuries are very rare: the barrow in height of 1,6 m and by diameter 40 m is found out in village Lofitskoe of , at village Zhuravka the settlement in the size of 90 m on 60 m. Near to the city of Boguchara settlement Island by the size 90 on 90 m concerning to XVII – to XVIII centuries is found is revealed. 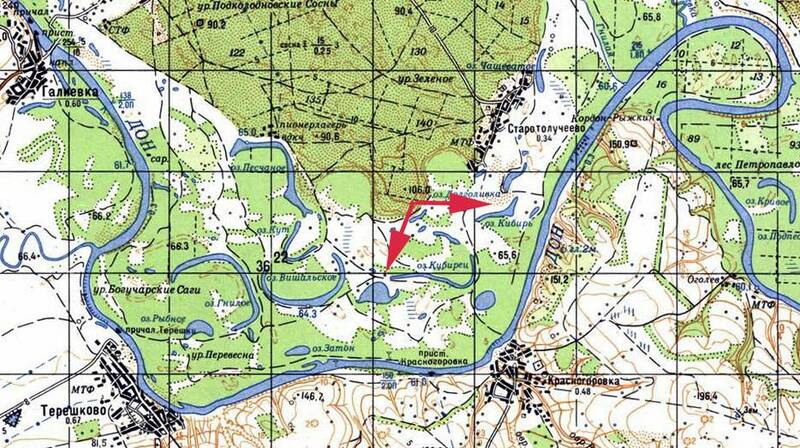 On national legend, in this place, has been located Boguchar jurt, and subsequently and the Cossack city of Boguchar. There are many legends telling that in barrows there are infinite treasures. 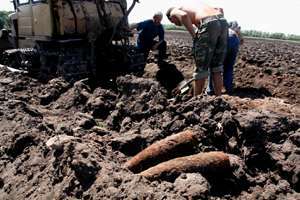 One of them has been described by Boguchar regional specialist Tkachevym G.G. 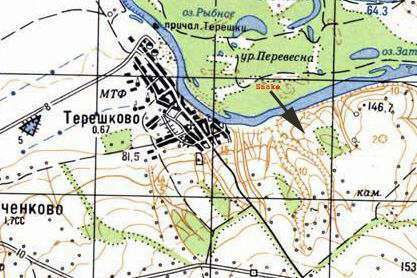 in XIX century: « In seven versts from Богучара there is wide enough ground shaft. On the holiday's eve of Sunday in one place of a shaft the candle every year burns. One daredevil convinced, that there by all means should be клад, has solved, by all means to get it. Having taken with itself(himself) a spade and necessary things, it has gone there. As soon as has come to a place where the candle burned, it has seen itself(himself) surrounded from different directions terrible monsters of huge growth. They have asked: « You what for here have come? We are put by watchmen and, know, that you will not manage to seize treasures. The fear has seized the daredevil, it has become a unfortunate victim of monsters and own boldness ». 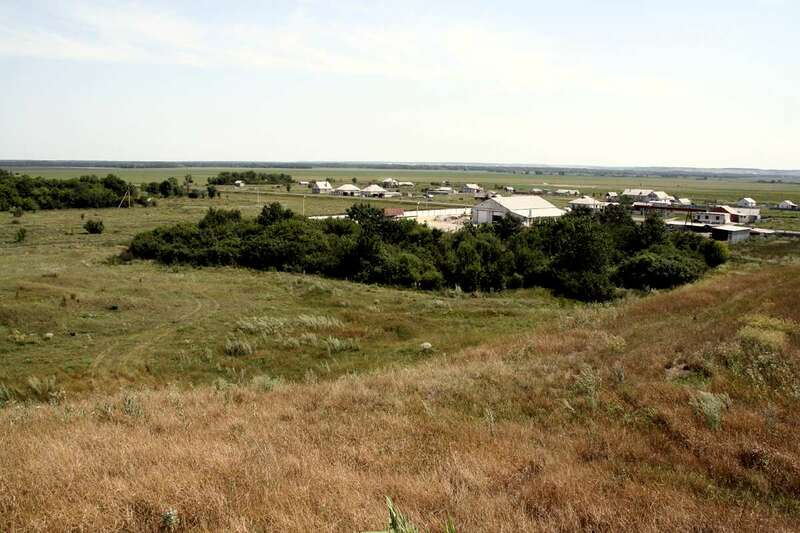 Barrows on the ground Bogucharskoj are practically annually opened with archeologists and there is a confidence, that treasures will be found. When - that the cap of the well-known Tatar khan, with jewels and gold about which legends in our edge too go will be found also. Журнал Советская археология. АН СССР.М .1981.No. 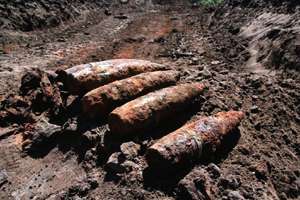 3. с.281. Ткачев Г.Г. Исторические указания на местность и народонаселение. убернские ведомости. В. 20 . 1865. 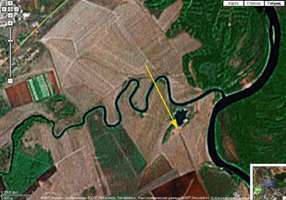 This archaeological site "Tereshkovskiy shaft", discovered in 1985, aged from 5000 to 1000 years BC, is located 2.8 km to the north-north-west from the village of Tereshkova and about 0.8 km to the West from the mouth of the Boguchar River. 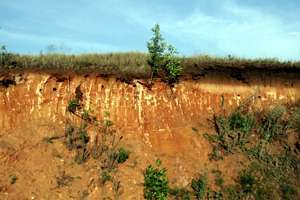 It consists of a crescent dune on the right bank of the Don. On the surface fragments of ceramics, silicon and quartz artefacts have been collected. 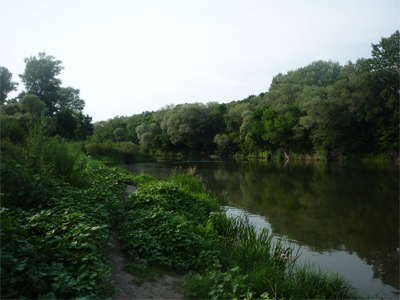 Panorama looking across the Don River to the east, near Galijovka. These axes have been drilled to accept a haft of wood or bone. This would have taken much labour, and because rock does not take tension well, failure of the stone at the drill hole is inevitable with very heavy use. However the better attachment of the handle to the axe makes the operation well worth while, even if the axe does break sometimes. 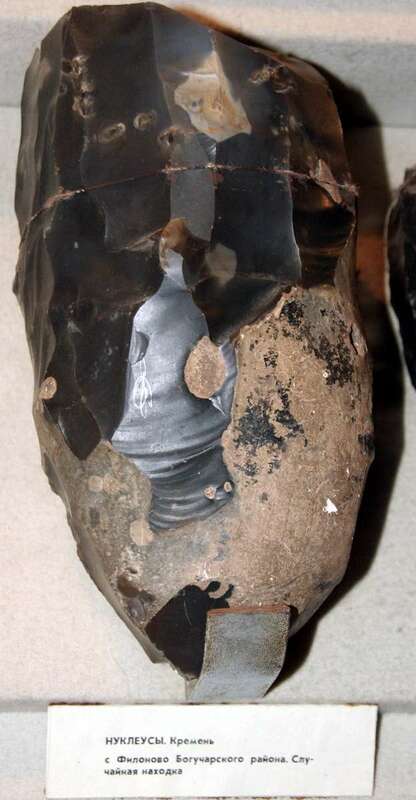 Note that the broken axe on the left appears to have been rolled in a stream, since the fracture has been rounded after the axe broke. 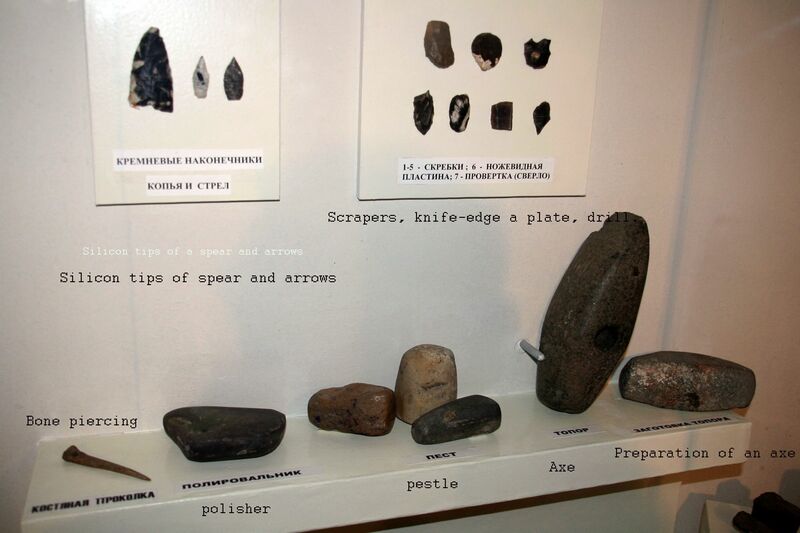 This is an excellent display of various types of stone tools in the Boguchar Museum. 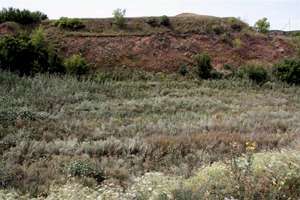 Panorama of river flats in the Don River Valley, not far from Boguchar and the village of Tereshkovo. Taken from a vantage point about forty metres above the extensive oxbow meander system characteristic of this part of the Don River, looking towards the south. It is productive agriculturally because of the good soil, flat land and plentiful water. The hills in the distance are about eighty metres high, and border the Don River. 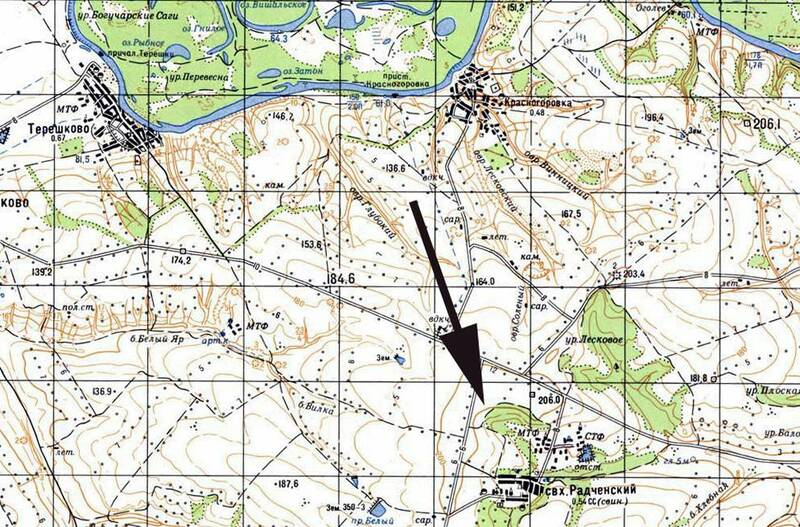 Maps showing the position from which the panorama was taken. Sign in Boguchar Museum showing the occupation history of the southern Russian steppes. The beginning of 13th century to the beginning of 15th century - "the Golden Horde"
The Pechenegs Union - were Turkic tribes established in the tenth century. These people of Turkic origin were originally nomads. In the 8th - 9th century together with other tribes they moved between the Aral Sea and the Volga. 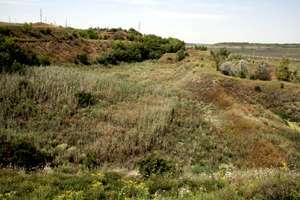 At the start of the 10th century they settled on the steppes between the Don and the Danube. They had a People's Assembly, and skilled tradesmen. In the year 968 they incessantly attacked Russian land. They made cities and fortifications. In 1036 Yaroslav the Wise defeated the Western Pechenegs association. At the end of the 11 th Century, under pressure from the Polovtsev, they moved to the Balkans, or to Hungary. The domains of the Golden Horde in the year 1389, before the Tokhtamysh-Timur war. The rivers are shown in blue, the 2006 international borders in light brown, and important cities of 1389 with a black circle. The capital of the Golden Horde, Sarai is shown with a gold star. The principality of Moscow is shown as a dependency, in light yellow, of the Golden Horde as are the Genoa colonies in the Crimea. The Golden Horde (Turkish: Altin Ordu) was a Turkic state established in parts of present-day Russia, Ukraine, and Kazakhstan after the break up of the Mongol Empire in the 1240s. At its peak the Golden Horde's territory included most of European Russia from the Urals to the Carpathian Mountains, extending east deep into Siberia. On the south the Horde's lands bordered on the Black Sea, the Caucasus Mountains, and the territories of the Mongol dynasty known as the Il-Khans. The appellation Golden is believed to have come from the steppe color system for the cardinal directions : black - north, blue - east, red - south, white - west, and yellow (or gold) - center. 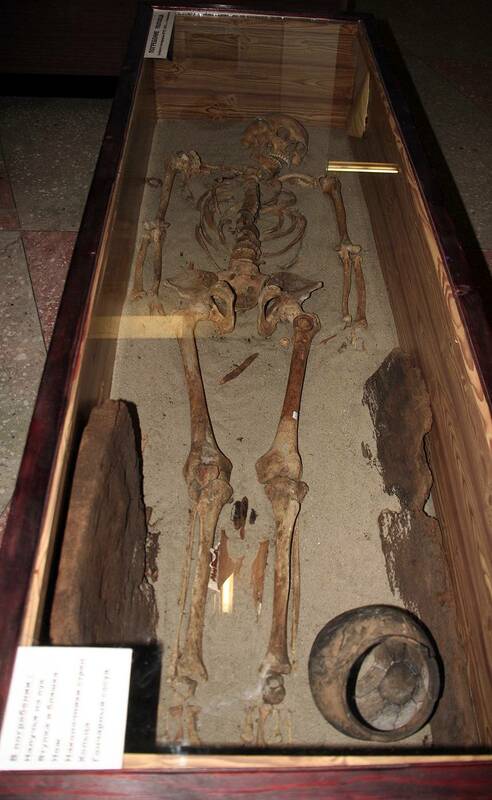 Skeleton in Boguchar Museum, of a Polovtsian, dating from the 9th to the 13th century A.D. 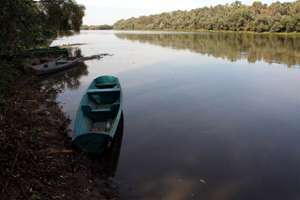 The skeleton was found near the Boguchar River. 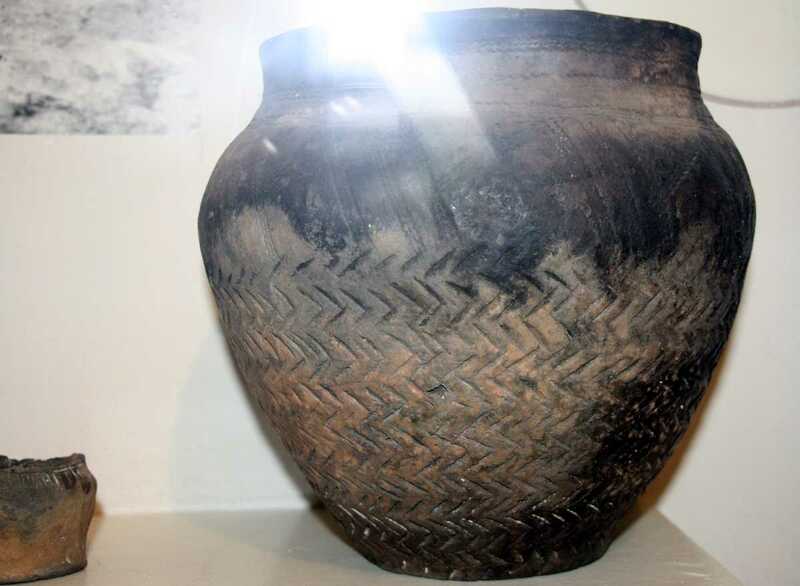 The pot was presumably found with or near the body, from the same era. 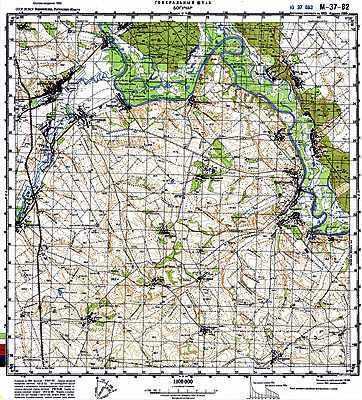 Map of the general area in which the skeleton was found. Pot with pictogram, only just discernible on the larger image. Click on this small image to open the larger one. The pot has an uneven lip, and a simple decoration with white slip. Large pot, compared with the pictogram pot visible in this image to the left, and in the image above. Decorated with chevron patterns and what looks like a braided pattern above that. Two pots with lips below, and a compound pot above, which has four feet and a separate depression on the side of the main pot. 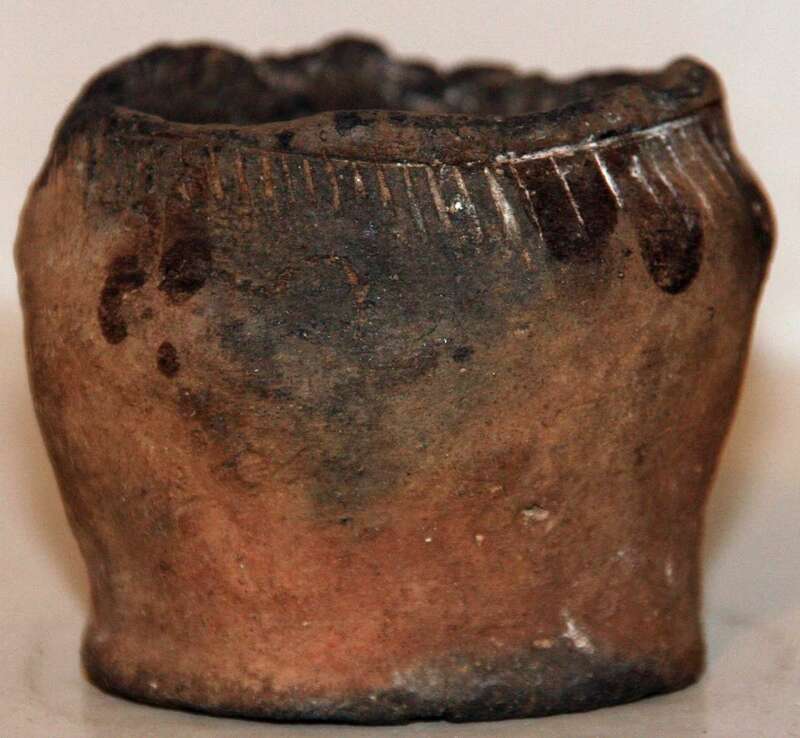 The compound pot is a Censer, a ritual vessel from the catacombs cultures. The top censer and the pot at the left are decorated with chevron patterns, as well as dots in the case of the pot to the left. Stone on which ochre was ground. Cuman steppe art, as exhibited in Dnepropetrovsk. 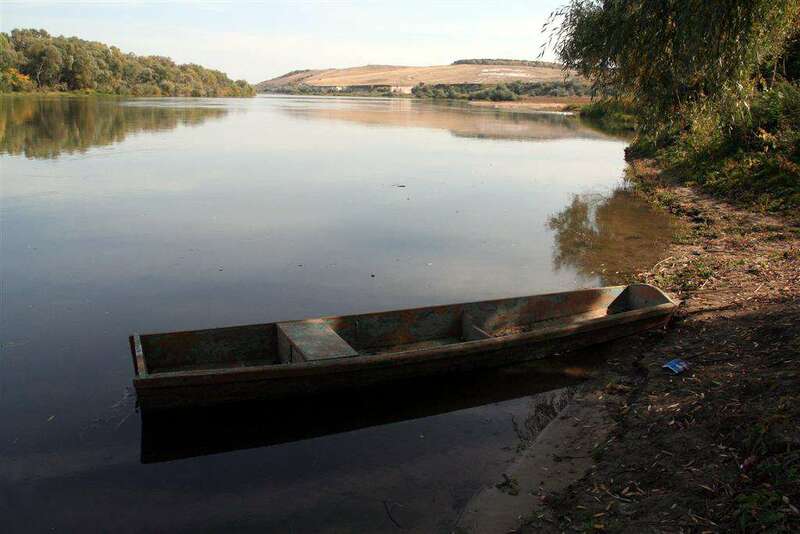 Cumania is a name formerly used to designate several distinct lands in Central and Eastern Europe inhabited by and under the military dominance of the Cumans, a nomadic tribe of Western Kipchaks also known as the Polovtsians. Besides this Latin term, Cumania was also known as Dašt-i Qipčaq (Kipchak steppes) in Muslim sources and Zemlja Poloveckaja (Polovcian Land) or Pole Poloveckoe (Polovcian Plain) in Russian sources. By the 11th and 12th century, the nomadic confederacy of the Cumans and (Eastern) Kipchaks (who are considered to be either the eastern branch of the Cumans or a distinct but related tribe with whom the Cumans created a confederacy) were the dominant force over the vast territories stretching from the present-day Kazakhstan, southern Russia, Ukraine, to southern Moldavia and western Wallachia. Considering the nomadic way of life of these peoples, these frontiers can be regarded only as approximate; hence there were various definitions over what Cumania meant over the course of time. Depending on their region and their time, different sources each used their own vision to denote different sections of the vast Cuman territory: in Byzantine, Russian, Georgian, Armenian, Persian and Muslim sources, Cumania meant the Pontic steppe, that is the steppelands to the north of the Black Sea and on its eastern side as far as the Caspian Sea, where the lowlands between the Dnieper, the Volga, the Ural and the Irtysh rivers were favorable to the nomadic lifestyle of the Cumans. Later, for a short time period, in Western sources Cumania also referred to the area in eastern Wallachia and southern Ukraine (centered on the lowlands of Budjak and the Bărăgan Plain), referring to the area where the first contact between the Cumans and the Western Christians took place, and where, later, the Cumans would accept Roman Catholicism. 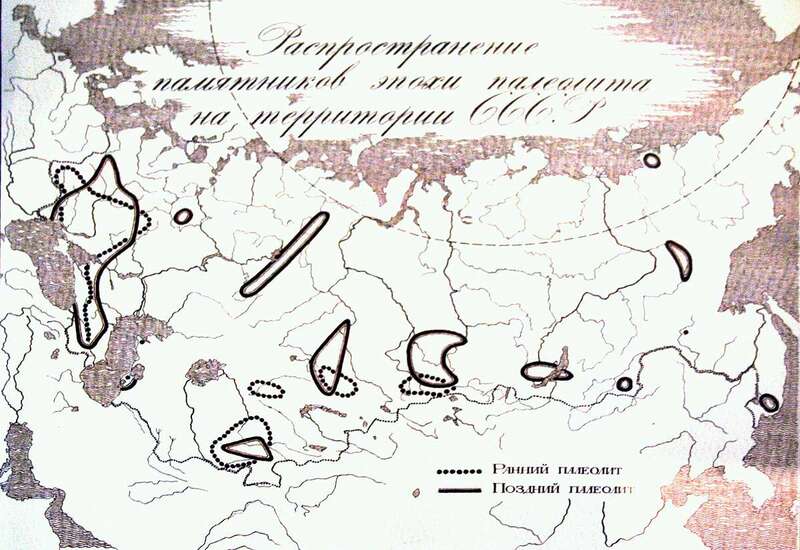 Using the traditional Turkic assignment of colours to the cardinal points, White Cumania used to be located to the east, while Black Cumania was located to its west. It is no surprise that while the general view of the Cumans is that they are Turanid, many historic sources describe the Cumans as strikingly handsome physically, having blond or red hair, and blue eyes. The vast territory of this Kipchak-Cuman realm, consisting of loosely connected tribal units who were the military dominating force, was never politically united by a strong central power. Cumania was neither a state nor an empire, but different groups under independent rulers, or khans, who acted on their own initiative, meddling in the political life of the surrounding states: the Russian principalities, Byzantium and the Wallachian states in the Balkans, Armenia and Georgia (see Kipchaks in Georgia) in the Caucasus, and Khwarezm, having reached as far as to create a powerful caste of warriors, the Mamluks, serving the Muslim Arab and Turkish Caliphs and Sultans. This pontic Cumania, (and the rest of the Cumanias to the east), ended its existence in the middle of the 13th century, with the Great Mongol Invasion of Europe. In 1223, Genghis Khan defeated the Cumans and their Russian allies at the Battle of Kalka (in modern Ukraine), and the final blow came in 1241, when the Cuman confederacy ceased to exist as a political entity, with the remaining Cuman tribes being dispersed, either becoming subjects and mixing with their Tatar-Mongol conquerors as part of what was to be known as the Nogai Horde, or fleeing to the west, to the Byzantine Empire, the Bulgarian Empire, and the Kingdom of Hungary. The Cumans entered the lands of present-day southern Ukraine, as well as historic Moldavia, Wallachia, and part of Transylvania, in the 11th century. Having conquered the area, they continued their assaults by attacking and plundering the Byzantine Empire, the Kingdom of Hungary, and the principality of Kievan Rus'. In 1089, they were defeated by Ladislaus I of Hungary. In alliance with the Vlachs and the Bulgarians during the Vlach-Bulgar Rebellion by brothers Asen and Peter of Tarnovo, the Cumans are believed to have played a significant role in the rebellion's final victory over Byzantium and the restoration of Bulgaria's independence (1185). The Cumans defeated the Great Prince Vladimir Monomakh of Kievan Rus in the 12th century (at the Battle of the Stugna River) but were crushed by the Mongols in 1238, after which most of them fled Wallachia and Moldova and took refuge in Hungary, Bulgaria, and the Byzantine Empire. After many clashes with the Hungarians, the Cumans were eventually evicted from Hungary to join their kin who lived in Bulgaria. Later, however, a large segment of them were re-invited back to Hungary. The Cumans who remained scattered in the steppe of what is now Russia joined the Golden Horde khanate. In the 13th century, the Western Cumans adopted Roman Catholicism, while the Eastern Cumans converted to Islam. The Catholic Diocese of the Cumania founded in Milcov in 1227 and including what is now Romania and Moldova, retained its title until 1523. The Cuman influence in the region of Wallachia and Moldavia was so strong that the earliest Wallachian rulers bore Cuman names. But, given that the rulers Tihomir and Bassarab I governed territories formerly ruled by Romanian leaders (mentioned in the Diploma of the Joannites of 1247), and given that there is no archeological evidence to sustain the continuous presence of a Cuman population (only Hungarian documents mentioning a toll-paying Wallachian population), most historians have concluded that the two rulers were, like the population they governed, Romanian. Basarab I, son of the Wallachian prince Tihomir of Wallachia obtained independence from Hungary at the beginning of the 14th century. The name Basarab is considered as being of Cuman origin, meaning "Father King".